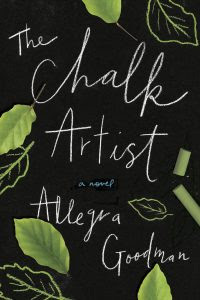 I had the opportunity to interview Allegra Goodman, the author of the popular novel The Chalk Artist. Here are some highlights. I write for others and for myself. I try to tell a good story and have a good time in the process. I am affected to a certain extent, and I try to protect myself a bit. While writing I don’t discuss my work in progress and after publication I avoid reading reviews. Do you feel you and the characters in your books have always been well understood by your readers? I’ve found that readers understand my characters and my work better and better over time. It’s wonderful the way books find their way, even years after publication. It’s also sweet to hear from people and reviewers right away when a novel rings true. Writing is solitary, and it can get lonely at times. It’s not lonely at all when it’s going well, however! Claire Tomalin’s memoir, “A Life of My Own.” Amanda Palmer’s “The Art of Asking” and–equally enjoyable but quite different: “Puritan Family Life: The Diary of Samuel Sewall” by Judith Graham. Novels “The Hopefuls” and Tessa Hadley’s “The Past.” On top of the stack: “The Possessed: Adventures With Russian Books and the People Who Read Them” by Elif Batuman. “The House of Twenty Thousand Books” by Sasha Abramsky. I just bought it at Harvard Bookstore. What is next for Allegra Goodman and what would be next for Allegra Goodman if the sky were the limit? My new novel is next. I’m feeling lucky and grateful to work on it every day. Allegra Goodman’s novels include Intuition, The Cookbook Collector, Paradise Park, and Kaaterskill Falls (a National Book Award finalist). Her fiction has appeared in The New Yorker, Commentary, and Ploughsharesand has been anthologized in The O. Henry Awards and Best American Short Stories. She has written two collections of short stories, The Family Markowitz and Total Immersion and a novel for younger readers, The Other Side of the Island. Her essays and reviews have appeared in The New York Times Book Review, The Wall Street Journal, The New Republic, The Boston Globe, and The American Scholar. Raised in Honolulu, Goodman studied English and philosophy at Harvard and received a PhD in English literature from Stanford. 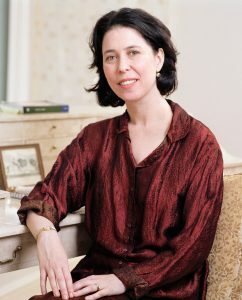 She is the recipient of a Whiting Writer’s Award, the Salon Award for Fiction, and a fellowship from the Radcliffe Institute for Advanced study. She lives with her family in Cambridge, Mass, where she is writing a new novel.